Parents are one of the most vital assets in a child's life. 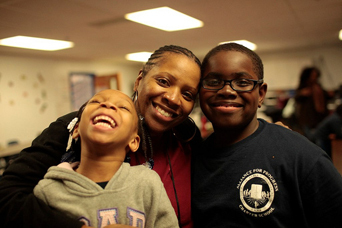 Here at the Alliance for Progress Charter School our mission is to partner with parents in the education of our children. Every child's first teacher is their parents. We believe that each teacher must partner with their students' parents, and each parent must partner with their child's teacher in order to support and educate the whole child. In short teachers need parents and parents need teachers. Therefore it is our belief that together we can achieve a winning team, where students at AFPCS excel on all levels, with the quality and equitable education. The Alliance for Progress Charter School has some of the best, most supportive and productive families in the City of Philadelphia. Our parents and families volunteer, make donations, help with career day, make meals for our Cultural Day, attend field trips, serve on the parent advisory board, and attend our monthly F.U.N. events (Family Unity Nights). Each new year our parents provide a nutritious cook-out for our field day festivities. 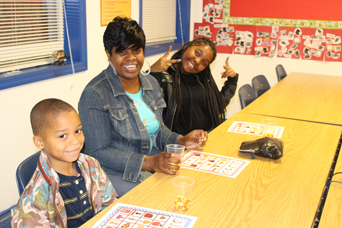 Parents at AFPCS have stepped up to become lead supporters in our annual Dads & Donuts, Kiddie Prom, our Field Day, our Cherrydale candy sale, our Annual Harvest Festival, our Spirit of Alliance Fundraiser and so many other activities. Each year our parent Advisory Board leads their own weekly pretzel sells and an annual fundraiser featuring Claire's Gourmet. Parents can be found as team members in educating and supporting our children daily. Great Schools with Great Parents equals Great Children. Please click the Dads & Donuts picture to see our Dads & Donuts program in action.